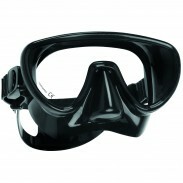 SCUBAPRO'S COMPACT CLASSIC Diving's premium frameless mask in a down-sized design to suit smaller divers. For smaller divers who crave the convenience, superb comfort and wide field of view of SCUBAPRO's classic Frameless mask, but sometimes have trouble maintaining a watertight fit due to their smaller or narrower faces, SCUBAPRO offers the MINI FRAMELESS. The down-sized MINI-FRAMELESS is perfect for small or narrow faces. While offering the same comfortable double-seal skirt as the full-sized Frameless, the single lens on the MINI-FRAMELESS offers a more traditional rounded-edge shape that flairs out to produce a wide field of vision. The push-button buckle system is easy to use and allows for quick adjustments. Buckles attach to flexible tabs on the skirt; this optimizes strap angle when dialing in fit. The wide headband fits comfortably against the back of the head. Frameless masks are great because they're able to sit close to your eyes, providing a wider field of view, plus they offer less volume which makes it easier to clear. Also, since there is no frame, the buckles attach directly to the skirt. This enables the mask to fold relatively flat for packing or for slipping into a BC cargo pocket. 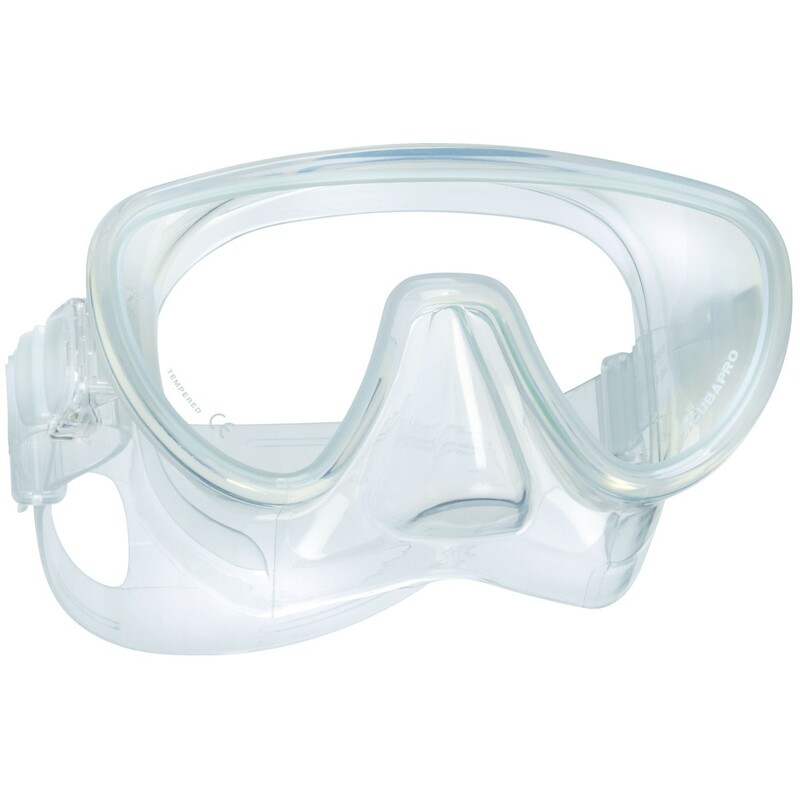 The MINI-FRAMELESS is a nice take on a SCUBAPRO classic, and perfect for younger divers, female divers, or any diver whose face shape trends toward the smaller or narrower.